The Gravity Sit Stand desk brings you all the mod cons available to the standing desk market. 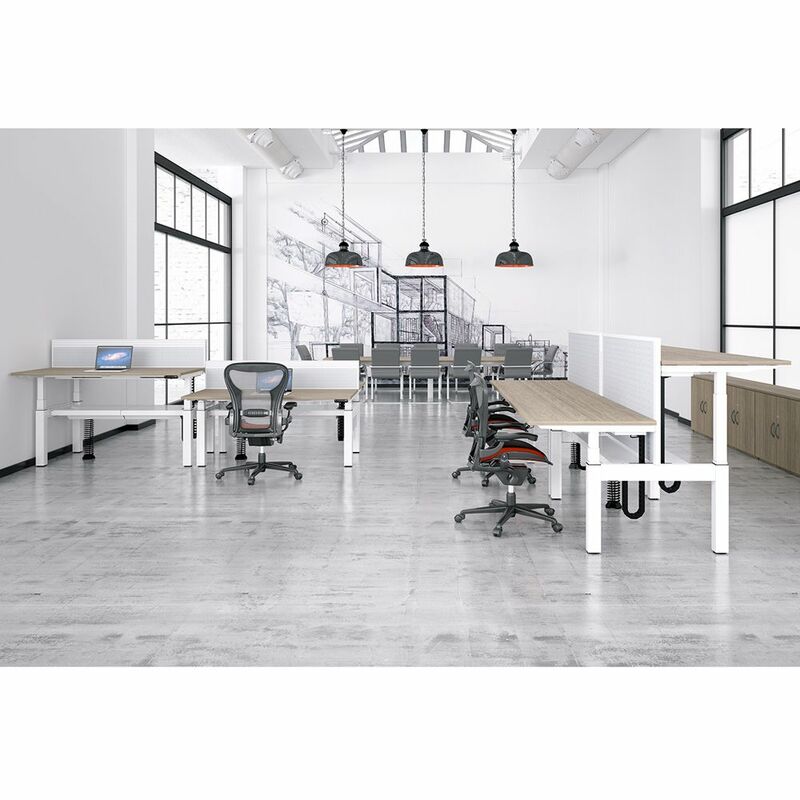 As standard you can expect to see sliding tops to gain access to flip down cable trays, anti collision mechanisms and a harness system cable riser to keep all those unruly wires tucked away safely while the height adjustable desk is in use. 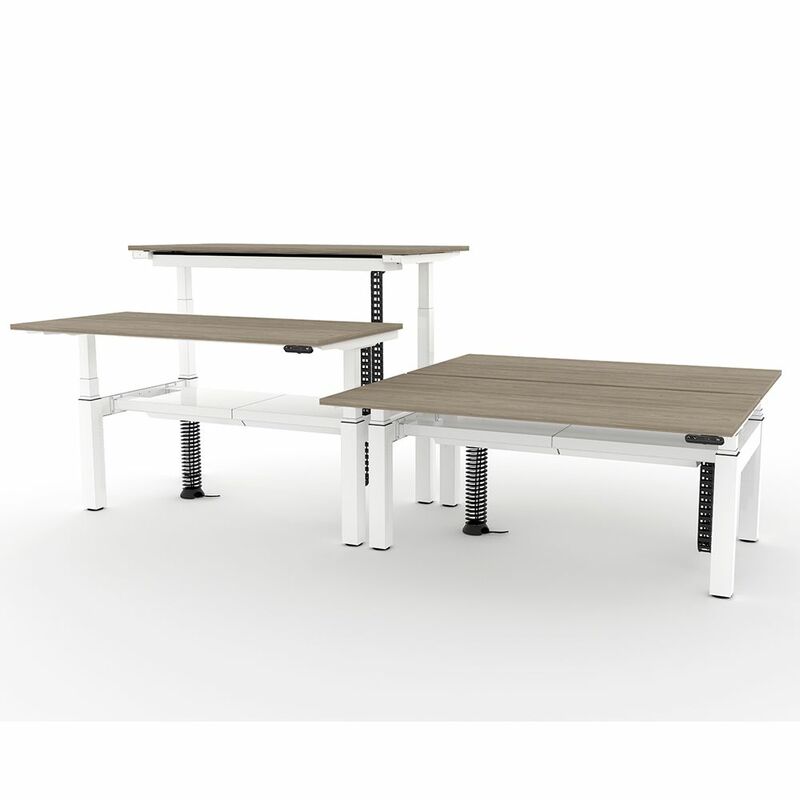 With the frame available in White, Silver or Black the Gravity desk offers a height adjustment from 680mm to 1280mm. 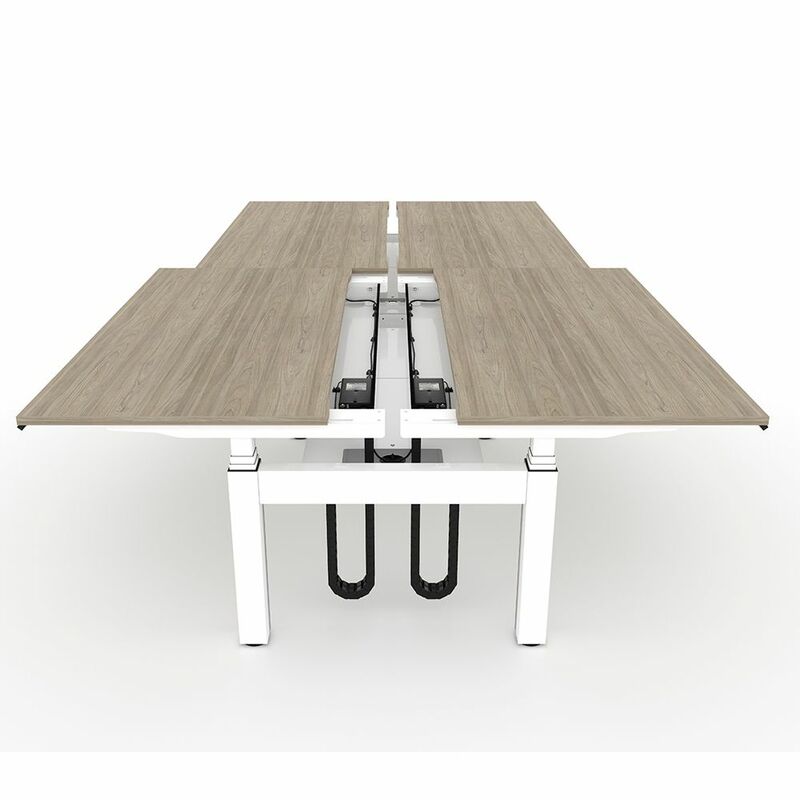 Not only this but the electric desk width is available in four sizes, 1200mm, 1400mm, 1600mm & 1800mm. The standard controller allows raising and lowering of the stand up desk. Premium Controller also available, please see below. The Piezo anti collision safety mechanism (as standard) allows you to ensure the safety of your staff as well as safe guarding your investment in case of potential collisions with stationary objects. 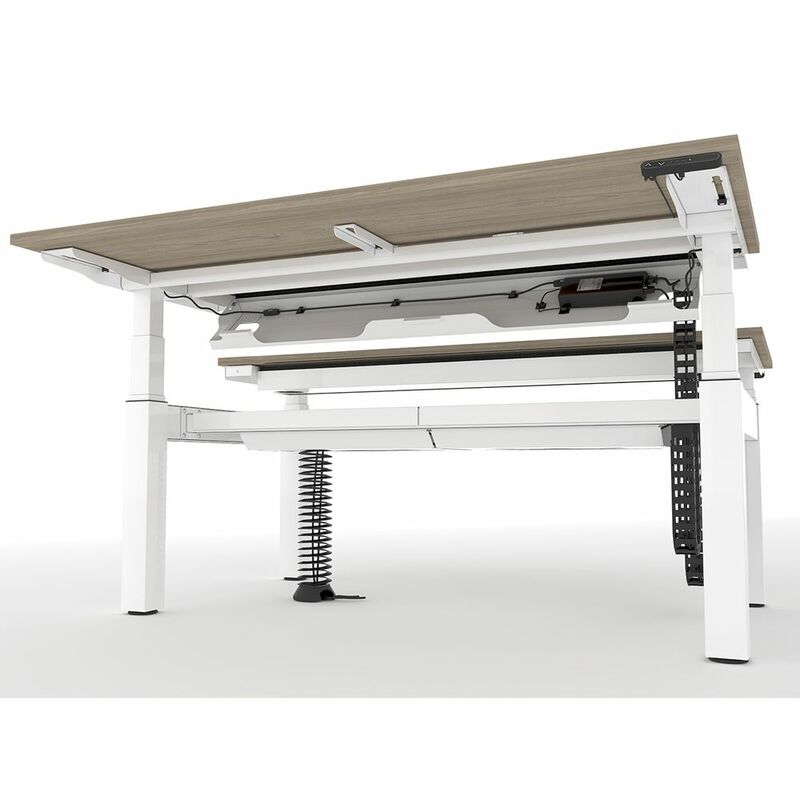 With a built in standby mode the Gravity desk will automatically reduce power consumption from 1-2 watts to just 0.01W, saving you money on yearly bills! With a 5 YEAR GUARANTEE on all components the Gravity Desk is FIRA accredited. Premium Controller (+£62.00) - Digital display with height of desk shown as well as 3 programmable height pre-sets. Bluetooth Dongle (+61.00) - Control your desk from your phone and store personal preferences. Desk Control Software (+60.00) - Not only control your desk from you computer but set personal goals that will send reminders when you are scheduled to stand, helping you keep on top of your sit stand lifestyle. If you're looking for brand new sit stand desks like this standing desk then Barkham Office Furniture is the place to visit. 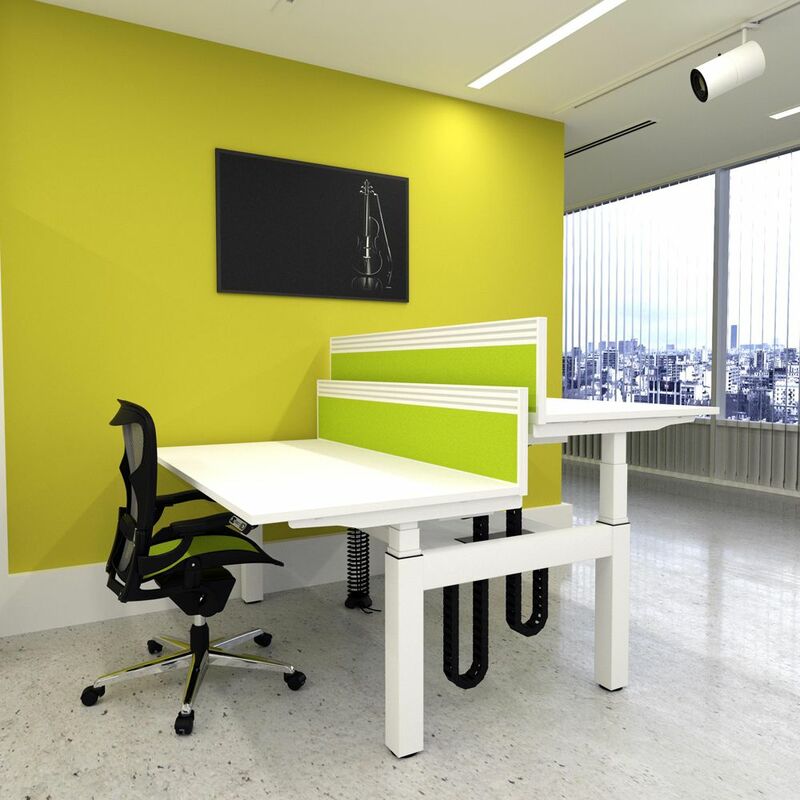 For more information on the height adjustable desk please don't hesitate to get in touch.